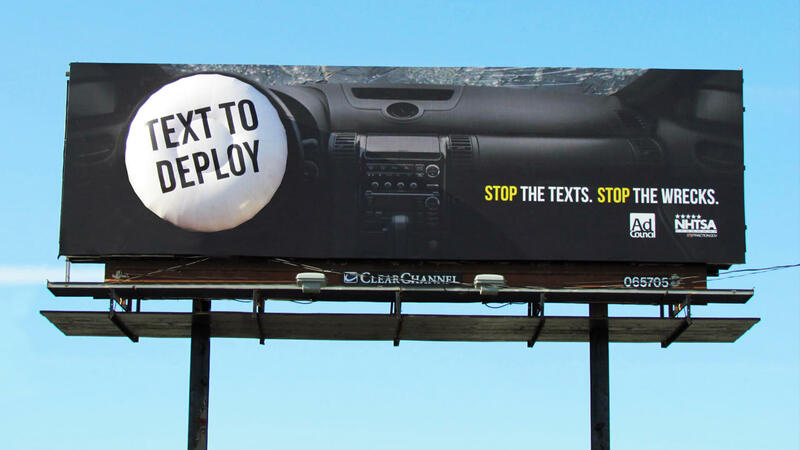 11 teenagers die every day due to texting and driving. According to the National Safety Council, cell phone use while driving leads to 6 million accidents per year. Texting and driving has become an epidemic in our society and teenagers are 400% more likely to get ito an accident form texting and driving. It’s a habit deadlier than drunk driving. 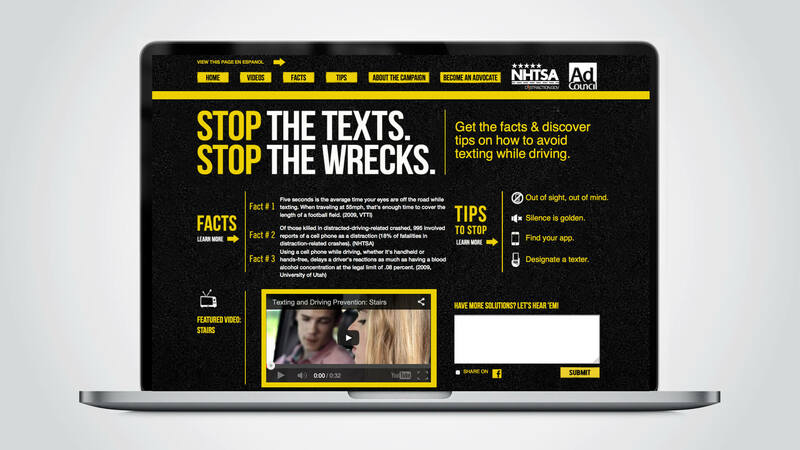 We joined forces with the Ad Council, the office of the State Attorneys General and the National Highway Traffic Safety Administration to create a Texting and Driving Prevention campaign. 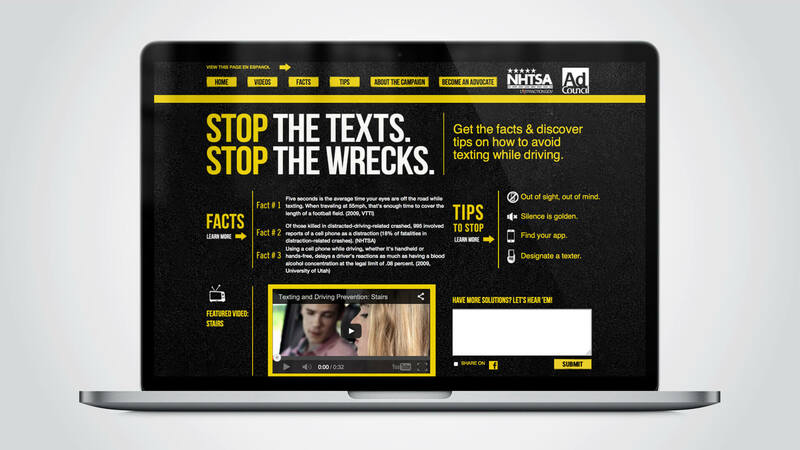 Driven by the themeline “Stop The Texts Stop The Wrecks” the campaign targets young adult drivers and features PSAs in TV, radio, outdoor and web, as well as integrated digital and social media platforms. 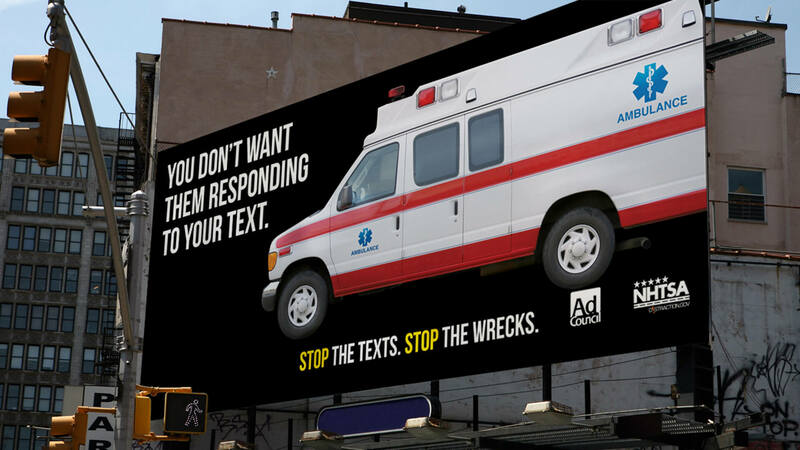 All advertising drives consumers to StopTextsStopsWrecks.org where consumers can find tips and tactics for how to curb this behavior.